I did the forecast from the 35th Annual Troy Strawberry Festival for the dinner time shows today. It was a BEAUTIFUL day for the festival to get kicked off. 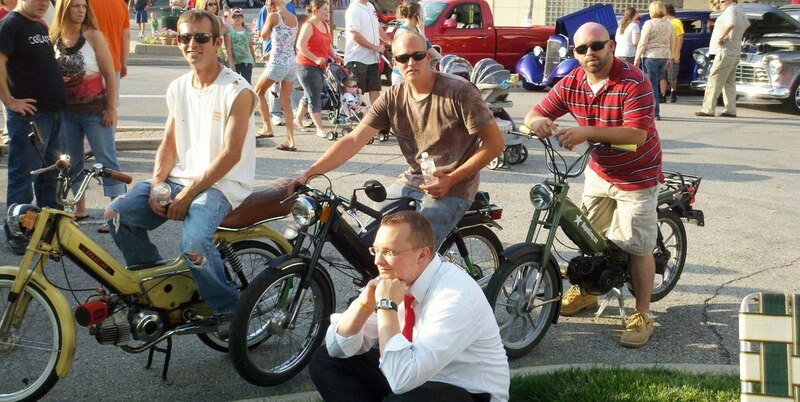 I had a few friends show up on their mopeds just to rub in the fact that I had to work and they weren't. I was thinking about riding a moped, though. The humidity and heat will return tomorrow and will help fuel a few thunderstorms later in the day for Saturday. The storms will be riding along a cold front which will cool us off into the lower 80's for Sunday and Monday, but by the middle of the week will be pushing the upper 80's again with humidity returning... It is weird to think that summer is still two weeks away officially. Some of the storms may be severe later tomorrow so keep an eye to the sky and have a good one!